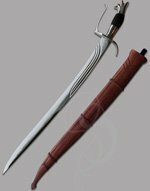 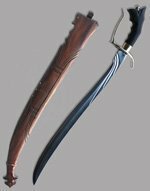 The Esterlina line swords are extremely high quality and battle ready. 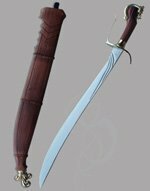 These swords are both beautiful and fully functional. 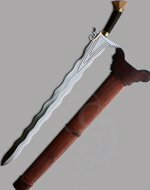 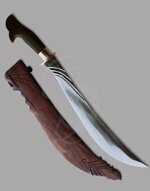 Many of the designs are of Filipino origin but they also bear are resemblance to swords of the fantasy genre. 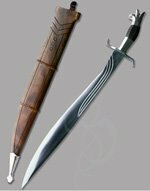 Every part of these swords from the beautifully forged blades to the guard, grip and pommel construction scream of meticulous craftsmanship. 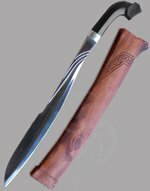 Even the carved polished wooden scabbards are a work of art. 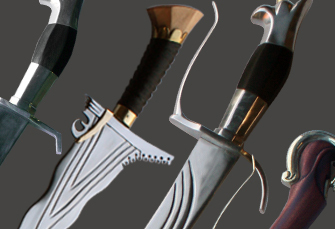 With razor sharp blades and exceptional balance, these swords are great for use in cutting competitions. 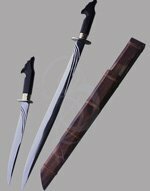 Of course they are also a great choice for those who just love and appreciate great looking high quality sword.